I want to start by thanking the volunteer members of our Planning and Zoning (P&Z) Commission for the time they are investing on the three large proposals under consideration. Further, I want to thank the public for coming out and sharing, through a variety of outlets, your concerns and thoughts related to these potential developments. I have listened carefully and read every letter that has been submitted both for and against. A strong community has engaged citizens and volunteers, and Trumbull is—and will remain—a strong community. For your information, the P&Z Commission will meet on Thursday, September 20, 2018. The agenda for that meeting includes the applications for the developments on Reservoir Avenue and Oakview Drive. The P&Z Commission will also meet on Thursday, September 27, 2018. That agenda includes the Mall’s zone change proposal. There were multiple public hearings on each of these applications; however, Connecticut law requires that the public hearings be closed within 35 days of opening the hearing with a possible extension of 65 additional days. In accordance with Connecticut law, the period for public comment for these applications has closed and no further public comments are permitted. The meetings on Sept. 20th and 27th are open to the public. Although public comments can no longer be accepted, I encourage all of our residents to attend. By law the P&Z Commission has 65 days from August 15, 2018, the date these public hearings were closed, to render a decision on each of these applications. The Commission can approve, deny or amend the applications. As I said in my earlier statement, land use and development are critical issues for our community. Well-planned growth and appropriate use of our land resources, consistent with our Plan of Conservation and Development (POCD), are essential for our success as a town. My administration is committed to balanced grand list growth, while ensuring that our schools, public safety, town services, and quality of life are not compromised. We continue to work with all parties, but we will fight for the best interests of our community as a whole. We are committed to preserving the character of Trumbull while managing change and ensuring the quality of new development and commitment from developers and property owners. Let me bring you up to date on developments to this point. Negotiated a change in the scale of buildings to respect the transition from the residential neighborhood of single-family homes in the area and to be potentially less intrusive to the neighbors. The multi-level buildings fronting Reservoir Avenue have been scaled back to two-story townhouses, which have been pushed back further from the street. Reduced the number of units from 215 to 199. Negotiated the gating of the community based on neighborhood feedback and my commitment to safe and smart development. Secured the developer’s commitment to participate in the master planning for the area. Ensured that the landscaping, sidewalk connections and construction/design are high quality. Redesigned the entrance to reduce traffic queuing on Reservoir Avenue. Extensively researched the background of the developer and quality of his projects and relations in communities where he has worked. Achieved changes to dens in the apartment units, reducing the number of dens, and ensuring that dens are bump outs only, not additional rooms. Negotiated a revision of the request for 590 units to 260 units and encouraged a further reduction to 250 units. Insisted that the Mall reveal the potential developer and their early concept for housing to the P&Z Commission and community. Insisted on larger setbacks and requested a reduction in building height. Strongly pushed for any housing development to have intentional and safe connections to the Mall and urged that the development have a neighborhood feel, improving the gateway to Trumbull. Pushed for a Master Plan requirement to guide the ongoing transformation of the zone. Supported the streamlining of the Mall’s ability to swap out tenants in their existing building, making it easier for stores to come into the mall. We need to help the Mall be competitive. Supported the addition of entertainment-style businesses into the Mall. Performed extensive research and commissioned a third-party, independent review of the Mall zone request and the transformation of malls throughout the country. Requested that the P&Z Commission remove or greatly reduce dens in the apartment units. A note about the schools. In both of the above developments, the projections made by the developers for impact on our schools are, in my opinion, overly optimistic. I encourage all developers in the future to be more realistic in their projections for two reasons. First, it allows us to make more informed and better suggestions and decisions. Second, in the eyes of the public, it gives the developers greater credibility. Because of our concerns about those projections, we looked at a similar new multi-family housing development in Glastonbury, CT, a town very similar to our own. The number of school aged children there was greater than that suggested by our developers. The Glastonbury data is in line with the 2017 Milone and MacBroom study commissioned by the Trumbull Board of Education to provide data for the Oakview housing complex that was approved in 2017. That study found that the likely range of school enrollments that would be generated is between 30-42 students per 200 units of apartments, once the development is completed and fully occupied. I believe that those numbers are more realistic than the numbers proposed by the developers. That being said, there is one important thing to remember: our school system today has over 300 students fewer than the peak years here in Trumbull. That includes the students currently in our system from the Royce. Further, enrollment is still projected to decrease in the coming years, which would offset, in part, new enrollments resulting from these developments. Also, please remember that each of these developments will come on line over time, not all at once. The first development from the 2017 zone change in the Oakview area is still under construction and will not be completed until 2020 at the earliest. The second apartment development, if approved, will probably not begin construction until 2019. In the case of the Mall, we are at the very first stage, an application to change the zoning. If that is approved, the developers will have to submit a detailed site plan subject to the scrutiny of the P&Z Commission. That too will take significant time. It is my job as First Selectman to ensure that all developments in Trumbull are well-planned, smart, safe and enhance the community as a whole while positioning Trumbull to remain a community of choice into the future. We are doing just that. All developments must benefit the Town both financially and aesthetically. Your elected P&Z Commissioners will vote on these applications. I am confident that by working together and following our comprehensive development process, the P&Z Commission will be prepared to make these decisions. Come and join Vicki, Team Tesoro, and Senator Chris Murphy at a rally on the Sunday before the election. 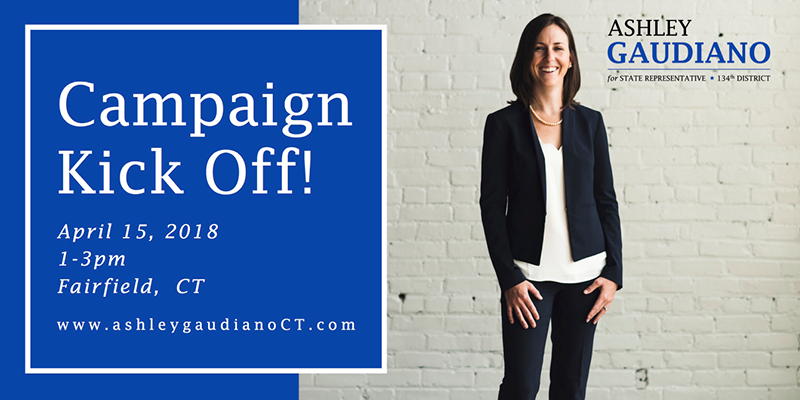 This is a great chance to show your support for the campaign! The rally runs from 10:15-11:30 a.m. Nov. 5 at Trumbull Democrats Campaign Headquarters, 6515 Main St., directly across from the Long Hill Green. We hope to see you there!